Finally some clear skies, but the seeing is still turbulent with a front near by. 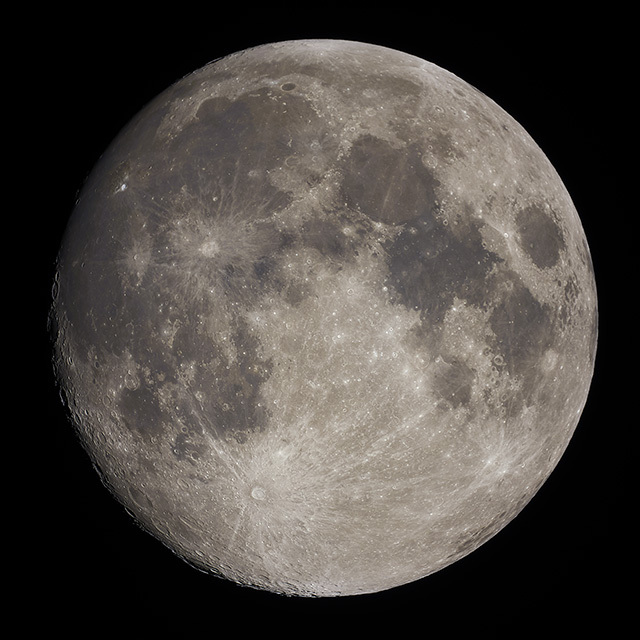 The waxing gibbous Moon from Austin, Texas on 2019-03-30 15:16 UT. Taken with a Questar telescope 1350/89mm f/15 with a Sony a6300 camera at prime focus. Exposed for 1/100sec at ISO 100, best 8 of 102 images stacked in Autostakkert 3, deconvolved in Lynkeos, with final expossure and crop in Photoshop.